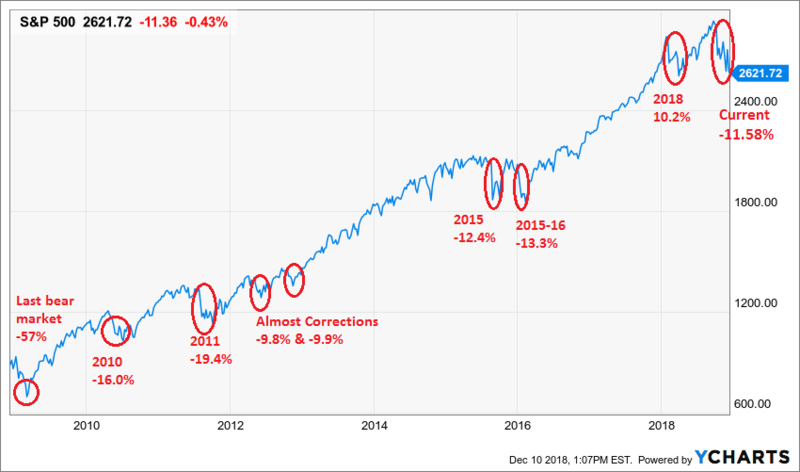 Since October we have been experiencing market fluctuation, and now we are in “correction territory” with a -11.58% decline. The volatility has been mostly attributed by interest rates rising and the increasing trade tension with China. Hopefully this chart can put it in perspective that what we are experience isn’t out of the norm and doesn't mean we are entering a recession. As you can see from the chart, the market has always recovered. 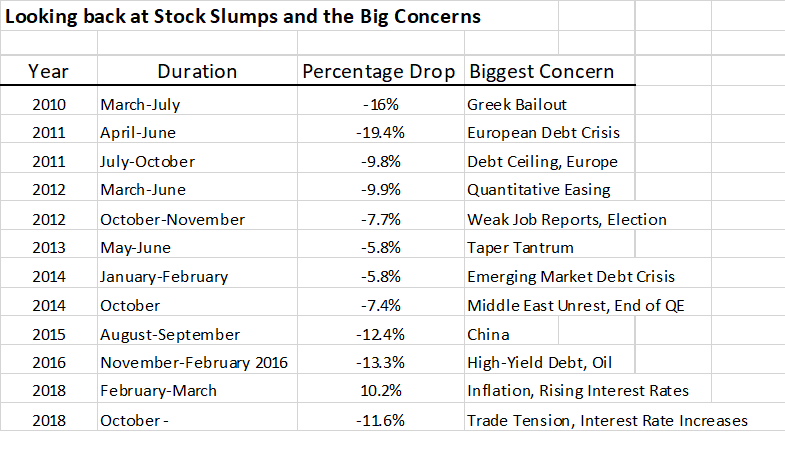 The average "correction" lasts 2-3 months. Historically we experience a -10% correction once per year (going back 50 years). In 2018 we have experienced two (once in February/March and now) but the market increased every month in 2017 and finished up 20%. Even if you have this knowledge, times like this can be difficult. The worst case is someone becoming fearful and taking action based on fear instead of decisions based on logic. To avoid this, we spend a lot of time talking with our clients about their (1) risk tolerance and (2) cash flow needs. If the fluctuation doesn't fit our clients needs/expectations the volatility may feel unbearable and we need to change their allocation to fit their needs. We also reinforce how we choose our investments with quality being the number one rule. Sources: Bloomberg.com, Y-Charts, & Crandall Pierce.